At Ripley’s Aquarium of Canada we offer reduced rates for groups of 10 people or more. Reservations are required. Groups are recommended to book two weeks prior to scheduled arrival date however depending on availability, last minute requests may be accommodated. Please note, your reservation is not confirmed until we have provided a formal invoice. Please download the reservation form for your group size/type and email it to Groups@RipleysAquariumofCanada.com. A Group Sales Coordinator will confirm receipt of your reservation form and provide a formal invoice within 2-3 business days. Please submit your request to our Field Trip page. •For Daycare / Camp Groups – please download the Order Form for Pricing Information. If you are booking a group visit on behalf of a school registered with the Ontario Ministry of Education please refer to our Field Trips page. 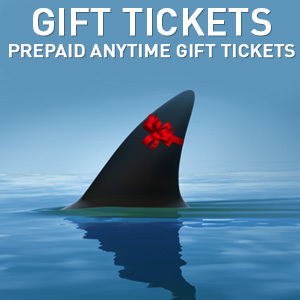 Prepaid Anytime Gift Tickets: Purchase 10 or more tickets and SAVE. Order our Prepaid Anytime tickets and your guests can visit the aquarium anytime within one year of the purchase date. *Valid for one admit. Must purchase a minimum of 10 tickets per order. No blackout periods. • Box lunches, snack packs and food vouchers are available for preorder only. Please complete the online request form below. • Outside food and beverage are not permitted for health and safety reasons. *One complimentary admission for every 20 paying visitors (entrance only). Complimentary admission for bus driver when requested in advance. Supervisor Ratio REQUIRED for Child/Youth Groups: 1:3 (0-2 yrs. ), 1:4 (3-8 yrs. ), 1:8 (9-13 yrs. ), 1:15 (15-16 yrs.). Complimentary admission for Ratio Staff EXCEPT when supervising children aged 2 & under. Group tickets are non-refundable. Unused group tickets can be exchanged for a timed ticket only. In order to provide your group with an efficient check-in experience, we ask that your group arrive together at your scheduled arrival time. Please have one group representative collect the tickets from Guest Services. Groups should enter using the ramp located on the south side of the building. Self-guided tours take approximately two hours to complete. Tour and school buses may use the loading zone located in front of Ripley’s Aquarium of Canada (north side of Bremner Boulevard) to drop off and pick up passengers. Bus parking is available on the south side of Bremner Boulevard across from the Rogers Centre for approximately $40.